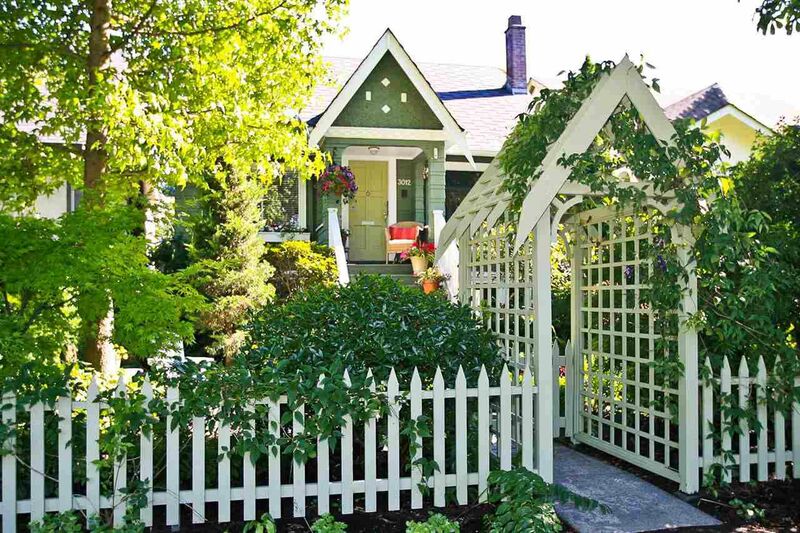 Enter the front yard through a magnificent scented garden and you are walking into an oasis on one of the best streets in the heart of Kitsilano. The home you have been waiting for! Meticulously maintained and updated with 2 bdrms upstairs with an additional large bedroom/den/home office on the main. Plus there is a mortgage helper 1 bdrm suite in the basement. Walk out onto the brand new deck (built with permits) and admire your dream backyard! Developed by a master gardener with privacy and tranquility in mind. Imagine yourself enjoying a cup of tea in the afternoon sun, in a southern exposed yard, while children play in a true tree house, all in a truly stunning garden. Open House cancelled - Sold.